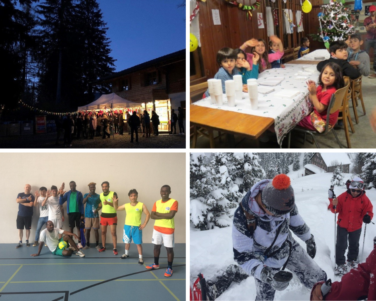 Since the opening of the la Clairière Centre in October 2015, and the Gryon centre later that year, asylum-seekers have become a settled part of the Villars community, bringing with them an astonishing range of experience and culture. Whether arriving from Afghanistan, Eritea, Syria, Georgia or even Mongolia, they have enriched our mountain life, and provided an extraordinary opportunity for Aiglon students and staff to engage with global issues at a personal level. Led and organised by various staff members, pupils have been visiting the centres, helping with language-learning and working with the children. Aiglon itself has hosted climbing, cricket and football, and organised a winter expedition on snowshoes, that degenerated into an inter-continental snowball fight! Aiglon has also provided practical help, collecting clothes and toys, and raising money for the work at the centres. With no obvious end to the migration crisis in sight, this partnership with the centres and the local volunteer organisation will be an Aiglon educational and service opportunity for the foreseeable future. The centre in Gryon recently closed, but the la Clairière centre continues to provide a warm welcome. In Issue 8 of the Aiglon Magazine, we took an in-depth look at our work with the centres. You can still read that story online here! 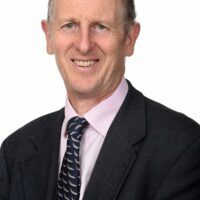 Our chaplain, Mr Torrence, studied Natural Sciences at Cambridge and worked as a science teacher before training for the Anglican ministry, although he chose not to be ordained. This background makes him a good fit for Aiglon’s educational, multi-faith community. His aim at Aiglon is to open pupils’ eyes to the reality of the spiritual in all its many facets. He stays busy working with students and organising a variety of volunteer and service events.